People who used e-cigarettes were more likely to kick the habit than those who didn’t, a new study found. Nicotine patches, gums and medications are known to aid smoking cessation, but there’s no consensus on whether vaping devices can help anti-smoking efforts. The U.S. research is the largest look yet at electronic cigarette users and it found e-cigarettes played a role in helping people quit. “It’s absolutely clear that e-cigarettes help smokers replace cigarettes,” said Peter Hajek, director of the health and lifestyle research unit at Queen Mary University in London, who wasn’t part of the study. Smoking rates have been generally declining for decades. Health experts have credited taxes on tobacco products and anti-smoking ads for the drop. E-cigarettes have been sold in the U.S. since 2007. Most devices heat a liquid nicotine solution into vapor and were promoted to smokers as a less dangerous alternative since they don’t contain all the chemicals, tar or odor of regular cigarettes. Researchers analyzed and compared data collected by the U.S. Census from 2001 to 2015, including the number of adult e-cigarette users from the most recent survey. 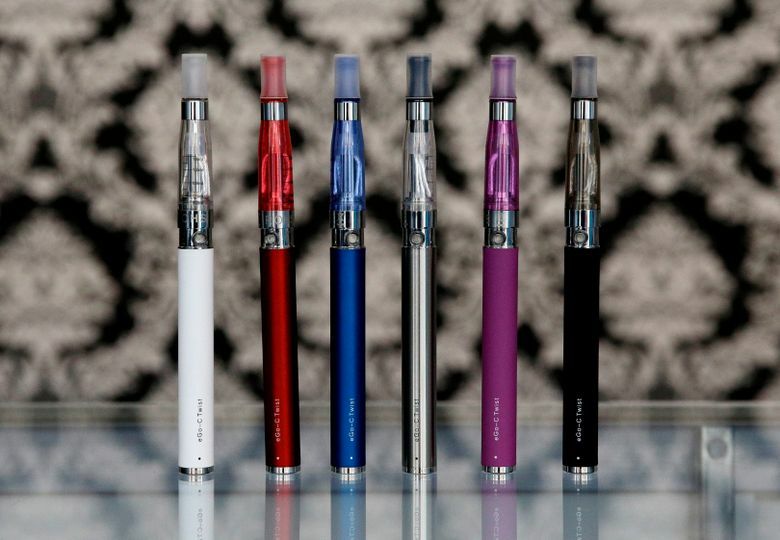 About two-thirds of e-cigarette users tried to quit smoking compared to 40 percent of non-users, the study found. E-cigarette users were more likely to succeed in quitting for at least three months than non-users — 8 percent versus 5 percent. The research was published online Wednesday in the journal, BMJ. It was funded by the National Institutes of Health. The rate of people quitting smoking in the U.S. has remained steady at about 4.5 percent for years. It jumped to 5.6 percent in 2014-2015, representing about 350,000 fewer smokers. It was the first recorded rise in the smoking cessation rate in 15 years. While national anti-smoking campaigns likely helped, the results show e-cigarette use also played an important role, said lead author Shu-Hong Zhu of the University of California, San Diego. Hajek, who wasn’t part of the research, said vaping devices shouldn’t be strictly regulated, but instead be allowed to compete directly with cigarettes. “That way, smokers can get what they want without killing themselves,” he said. Earlier this month, a House panel renewed its efforts to prevent the Food and Drug Administration from requiring retroactive safety reviews of e-cigarettes already on the market. Others warned that the long-term side effects of e-cigarettes are unknown. “We just don’t know if moving to e-cigarettes is good enough to reduce the harm,” said Aruni Bhatnagar, director of the American Heart Association’s Tobacco Research and Addiction Center. The latest results strongly suggest that more lenient control of e-cigarettes could improve population health, said Bullen, a professor of public health at the University of Auckland. “If every smoker was to change over to e-cigarettes completely, there would be a dramatic and almost immediate public health benefit,” he said in an email. AP Health Writer Mike Stobbe in New York contributed to this report.